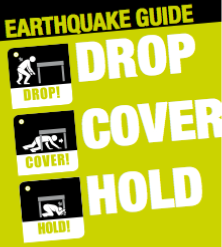 The Government of South Australian has produced a handy guide on how to prepare, react, and recover from a damaging earthquake. This guide was presented at the 2013 AEES conference in Hobart by Shane Turner, Principal Engineer for Building Management at the Department for Planning, Transport and Infrastructure. Click here to download the PDF booklet of the Earthquake Guide. For more information visit the SA gov website.